Q: Could we discuss how the hand held link 16 product came about? A: The handheld Link 16 radio, or BATS-D, came about based upon our assessment that the market needed such a product in a handheld form factor. The BATS-D handheld radio combines decades of experience in both Link 16 radio technology and Type 1 encryption solutions. BATS-D is a unique product, based on Viasat patented radio communication technology, providing direct access to a line of sight tactical datalink network for aircraft and ships in a handheld, dismounted form factor for ground forces for the first time. It comes to the field compliant for the Link 16 cryptographic modernization initiative (CMI) mandate. Q: Why was this deemed a necessary product for Viasat to innvovate and its interaction on the modern battlefield? A: BATS-D was specifically designed to enable direct, digital communications between a dismounted Joint Terminal Attack Controller (JTAC) and supporting Close Air Support (CAS) aircraft. 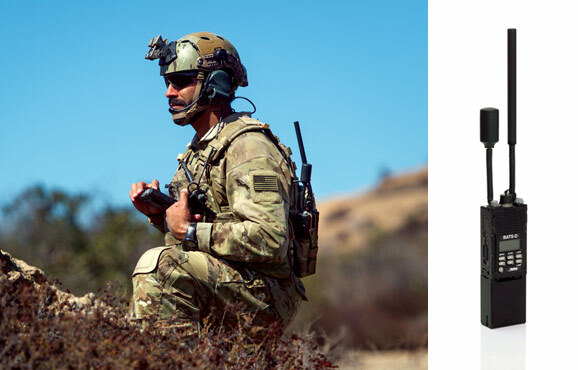 The Viasat BATS-D radio is a game changer for dismounted warfighters. Ground forces now have access to the same digital Common Operational Picture and situational awareness that aircraft and higher echelon units have had for years, and in real time. This access will help prevent potential blue-on-blue engagements and increase the lethality of dismounted forces carrying the radio. The BATS-D handheld Link 16 device is comparable to introducing a smartphone where there were only desktop computers; it holds the potential to completely transform the battlespace. 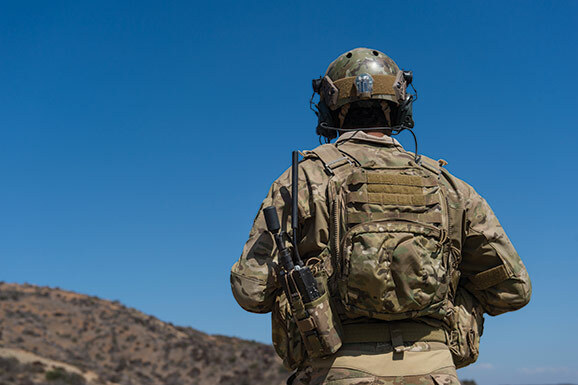 BATS-D is yet another example of Viasat’s unique approach to serving the defense market by bringing innovative solutions to solve real warfighter problems that improve mission effectiveness. We are producing certified BATS-D units today to support U.S. and overseas contingency operations immediately. Q: How are you looking to move forward with the BATS-D? What are the prospects for the future of combined air-to-ground operations? A: All of the advantages of having a direct, digital connection between air and ground forces over Link 16 using the BATS-D/PRC 161 have not been fully realized yet. Imagine a scenario involving extraction of dismounted ground forces from a hostile area where supporting fixed and rotary wing aircraft conducting the extraction have a detailed, digital understanding of the locations of the friendlies on the ground and can broadcast their position over Link 16 using the PRC-161. Or perhaps there is a scenario where ground vehicular convoys can broadcast their position to aviation elements in the same manner. This would further enable commanders on the ground to have situational awareness of nearby air assets to more rapidly seek assistance in the event of an unexpected troops-in-contact (TIC) situation. Over time, Link 16 has evolved from being an isolated network of large fighter and command and control aircraft into the widely adopted solution for line-of-sight situational awareness and command and control for essentially every manned and unmanned platform in today’s air domain. By enabling direct connectivity with these platforms and now ground forces, many of the theoretical advantages and principles of network-centric warfare can be fully recognized. These advancements in technology also require additional thought in terms of leveraging different approaches to the sharing of information among participants in the network (by adjusting the network designs). This will enable greater local awareness, potentially trading awareness at the theater or operational level and perspective. At Viasat, we have a deep and enduring commitment to our support to coalition warfighters. As a part of that commitment, we will continue to exploit opportunities to apply our cutting edge commercial technologies to rapidly develop and deploy new and advanced military operational capabilities in support of the military’s most critical missions.